Sometimes when technology fails you, nature has a way of reminding us what is truly beautiful. That is how I came to feel on one of those flights where one wishes they were anywhere else. Normally I like flying. I'm almost never nervous, I sleep with ease and I relish the hours of uninterrupted film watching or blog post writing (usually both) as I stretch out, with the comfort I have learnt to provide myself. This flight, however, was two and a half hours delayed, one of which was on the runway. I was on the way to Costa Rica to meet Andres' family, a fact I was already nervous about, and now I would be late, arriving at 11pm their time and 1am mine, and feeling extremely anxious about possible plane failures mid-air. There was no food, no entertainment, and yet despite the most boring five hour stretch I could not sleep. So for a large part of it I stared out the window at the moon, appreciating the beauty of it rising above the clouds casting a dull and comforting glow. As we neared midnight a flash of light caught my eye. 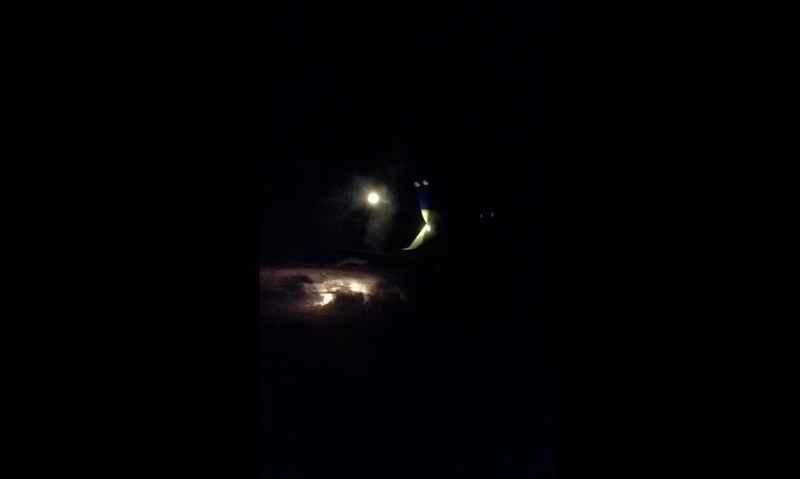 I had never before even thought it possible to fly over a thunderstorm, and yet here I was, in an irritable daze, watching yellow spikes illuminate the dark clouds below the wing. As I stared out the window I felt a strange sense of calm, all previous grievances lost in the rare, remarkable act that I was witnessing. Around me the passengers slept, and it was the first time that night that I considered that maybe I was luckier than I had perhaps realised. Life has a funny way of making us reconsider our fortunes if we allow it to. If I had been distracted by the screen I so desired, or drifting into sleep, then I would never have been aware of what a thunderstorm at 40,000 feet looks like. So next time you're feeling like the world is working against you, look out the window at it and you may just be surprised. What Happens When We Compliment Ourselves?